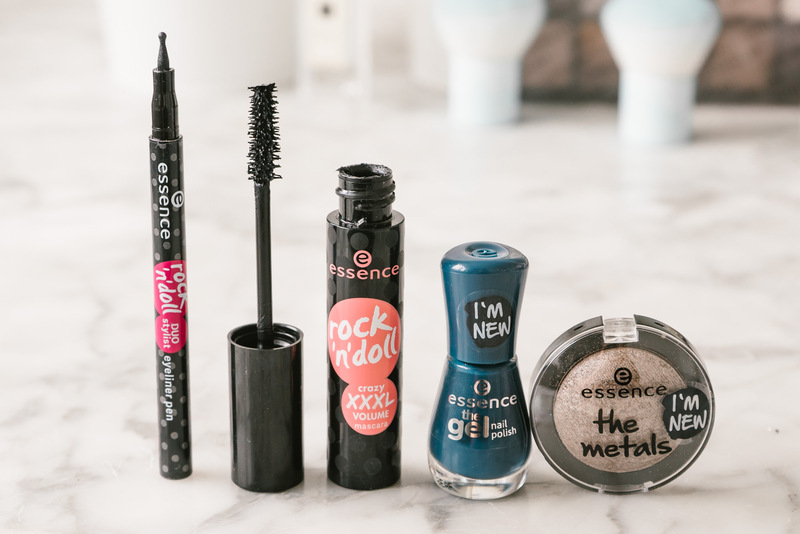 I was very excited to have the chance to try out some of the new essence cosmetics autumn makeup releases. 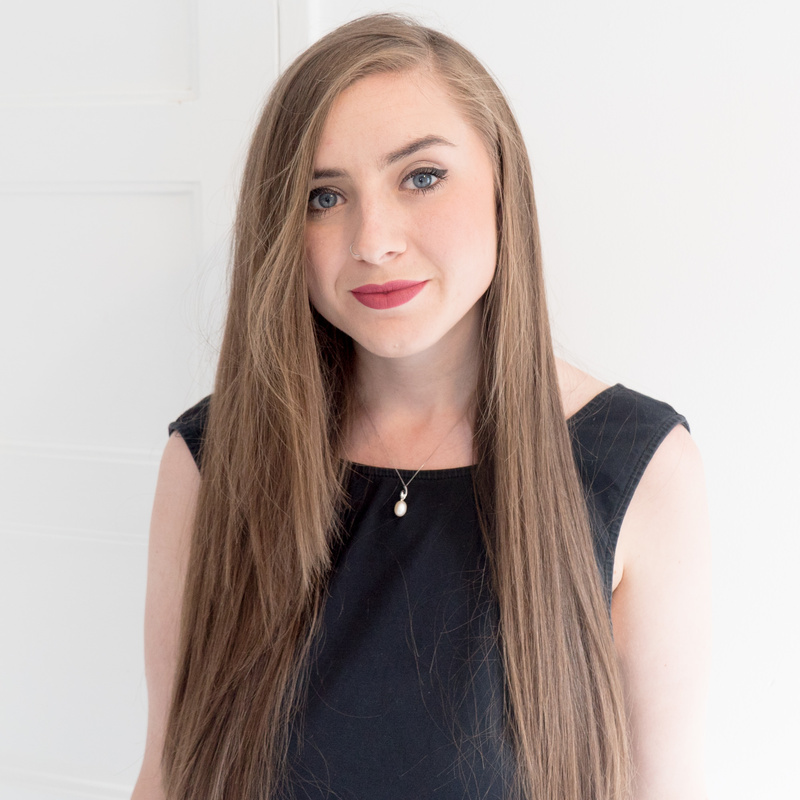 As you know, I had the opportunity to work with essence cosmetics this year on my palette, and I love their passion for new and exciting trends. 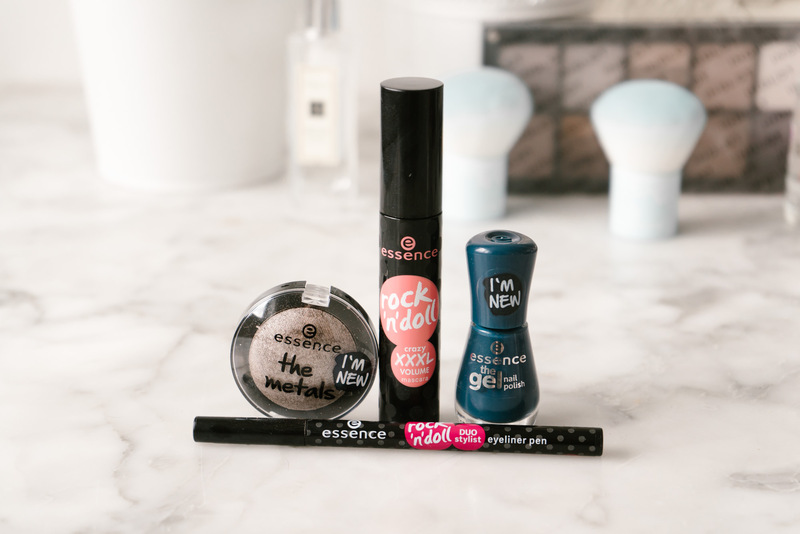 essence cosmetics continually update, recreate and reimagine new makeup concepts so you always know you will see new items with each new season. 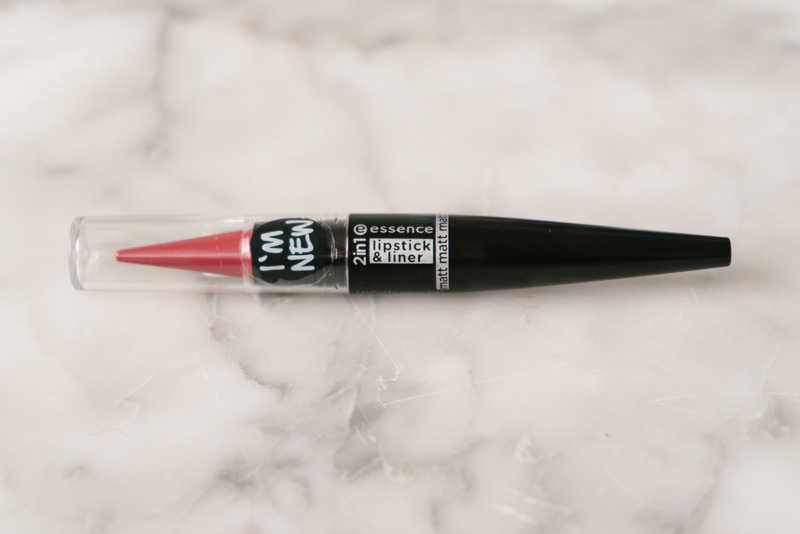 The item I was most excited to try, and hopefully can get my hands on in more shades, is the 2-in-1 lipstick and liner. It’s a smart product and a fresh reimagining of the traditional. Given the size of it, I assumed it had twist up packaging, but it isn’t, the product you see in the pictures is all the product you get. This does mean that it is unnecessarily large for on the go and could contain far more actual lipstick. Using the lipstick and lipliner in one was very effective. 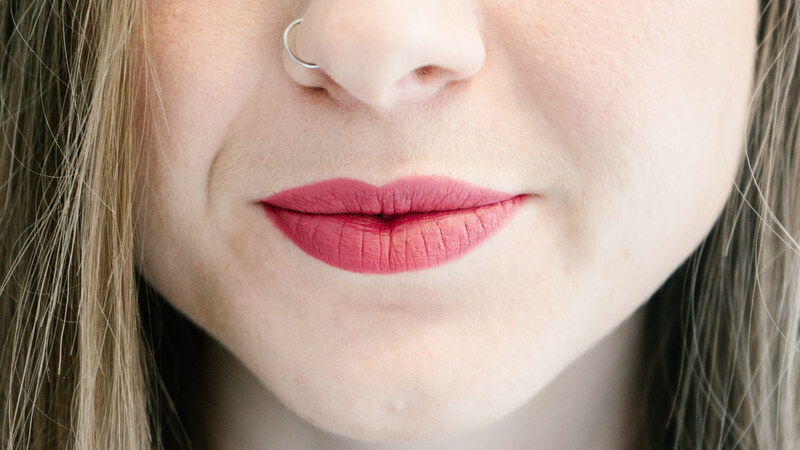 It lined the lips smoothly and was perfect for filling in. 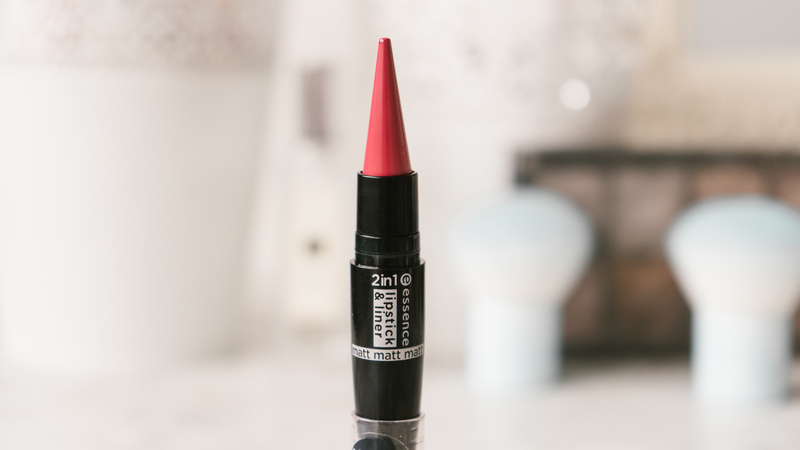 This product is ideal for creating an ombre lip. 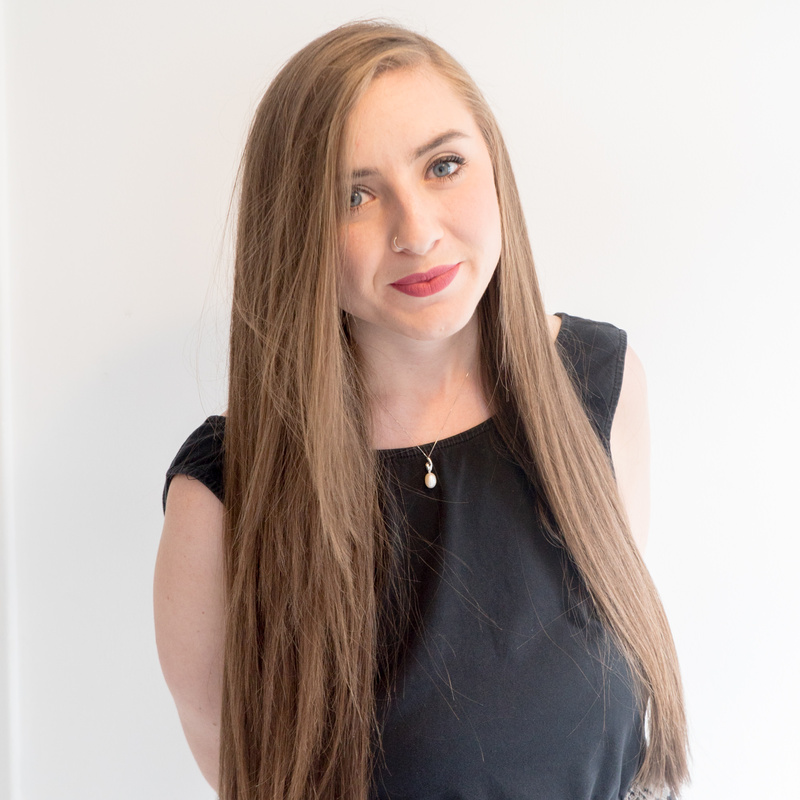 The lipstick had a lovely semi-matt finish and had a slightly waxy texture. I loved my shade, 02 make some noise!, a perfectly pretty pink. The lipstick was on the soft side so I have already used a lot of the lipstick. 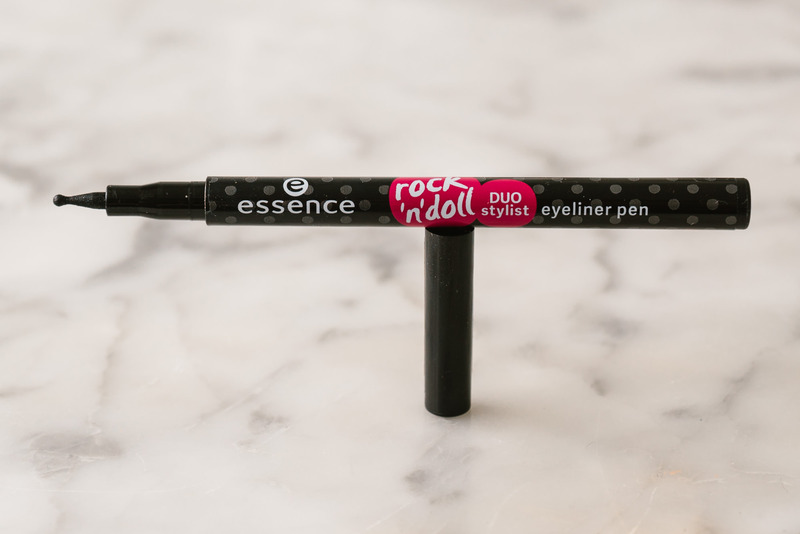 One product that didn’t work for me was the new rock ‘n’ doll duo stylist eyeliner pen. Felt pen eyeliners with a ball design on the tip have been popular recently, but it is something I struggle to use and just cannot get behind. Compared to other essence eyeliners I didn’t find this to give a pure black finish, and it took a lot of work to get a decent result. 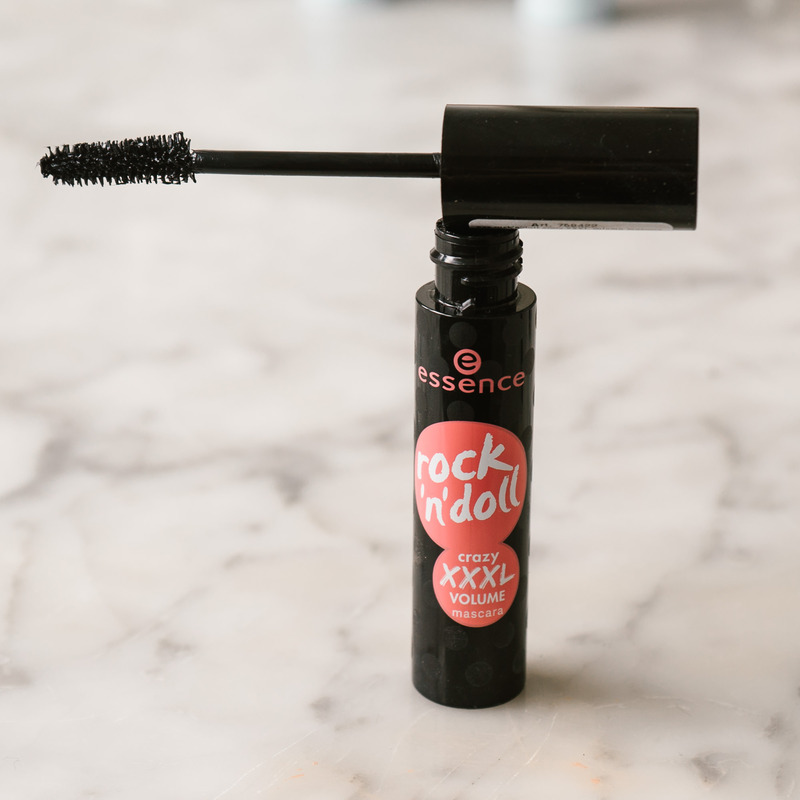 In contrast, the rock ‘n’ doll essence crazy xxxl volume mascara was fantastic, especially for a £2.80 mascara. Quite a wet consistency but great for separating lashes and giving a fairly natural result. essence cosmetics eyeshadows can be amazing, some of the best for the price. The new autumn shade, 02 Frozen Toffee, is a tone I will use a lot. A pretty bronze brown metallic shimmer, very pigmented and pretty. 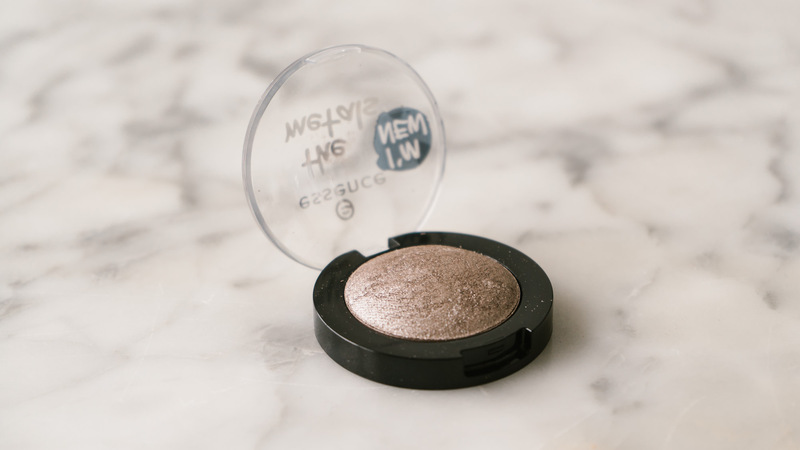 I have tried a few of the essence cosmetics the metals individual eyeshadows, and this is my favourite shade. 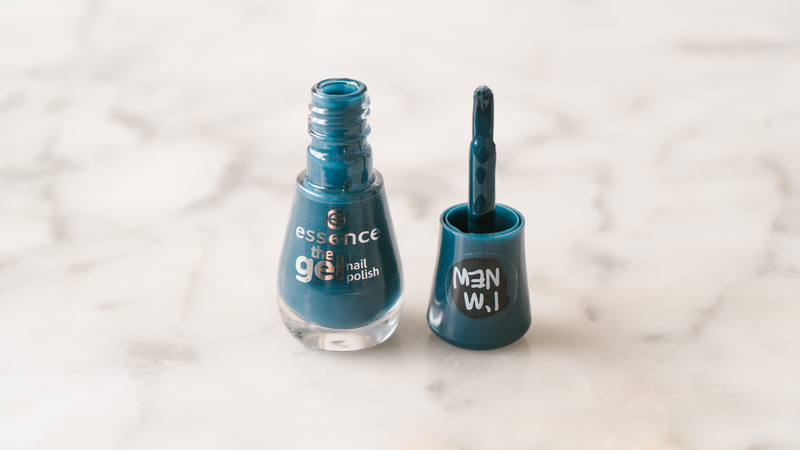 A new nail polish shade is this beautiful dark denim, 78 royal blue, a great fall tone. 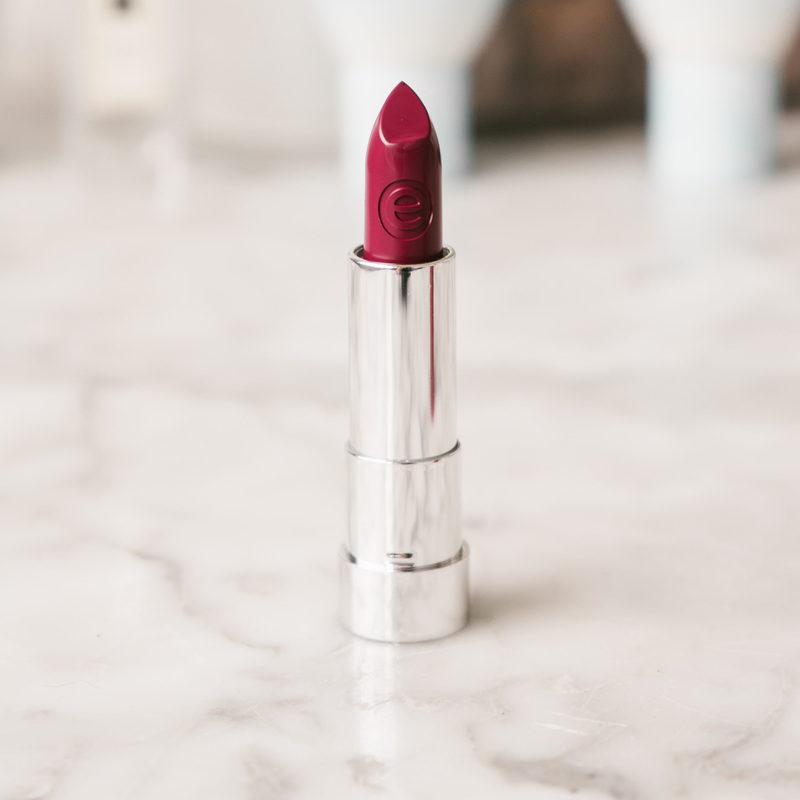 Another autumn tone is the Matt Matt Matt lipstick in shade 07 Purple power. 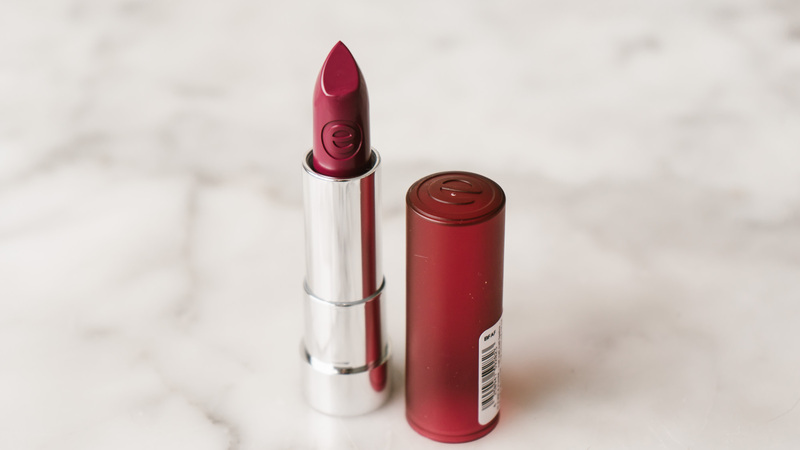 A deep and bright berry purple plum, a bold shade I would never have dared pick for myself but do quite enjoy! It is a lovely shade for the colder months, is again a semi-matte rather that a true matte but has a beautiful finish and texture to it. essence cosmetics is currently only sold at Wilkos here, let’s hope all of these releases come to the UK! 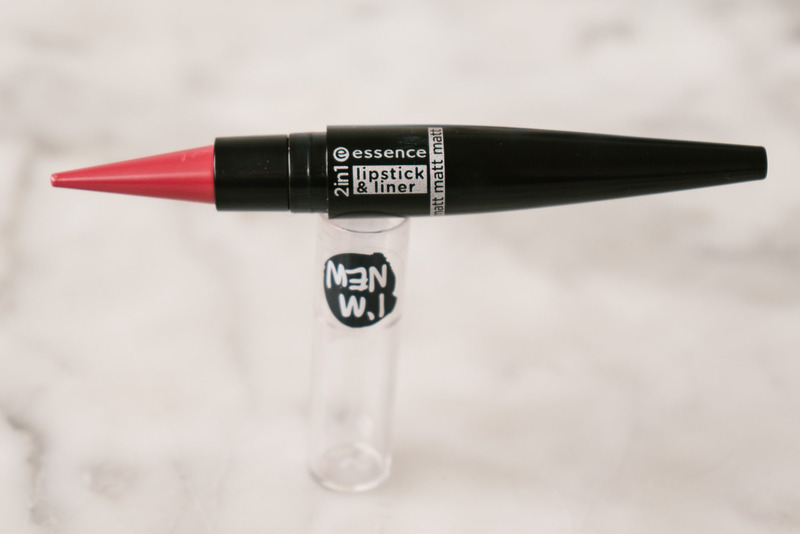 Which of the new essence cosmetics autumn makeup releases are you most excited about?